What’s the Quietest Electric Shaver for Men? Among the less obvious factors taken into consideration when buying an electric shaver is quietness during operation. It’s also true that this aspect is rarely on top of anyone’s list of features and characteristics of a razor. But there are still cases when a quiet operation is a must, so finding an electric razor with low noise level would be the natural thing to do. However, there’s little information regarding this topic since it’s clearly not one of the most popular aspects of electric shaving. Therefore, let’s see how different types of razors fare in the quietness department and how to find one that is right for you. While this battle is multifaceted and you’ll see solid arguments from both sides regarding the performance, practicality or comfort, things are much simpler when it comes to quietness. Rotary razors are far superior in this regard. And there are a couple of reasons for that. 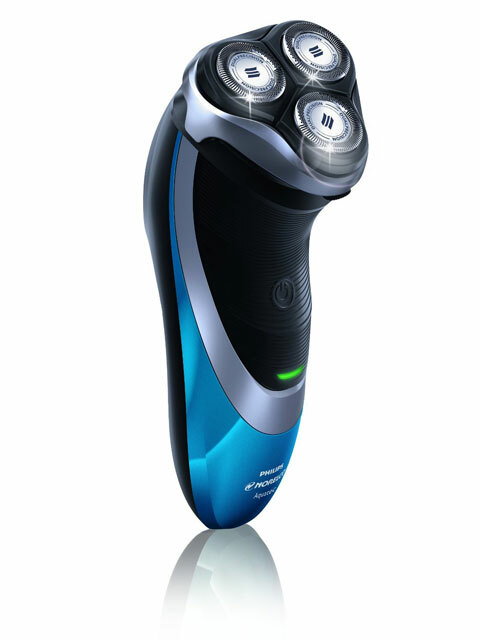 First of all, the design and the way a rotary shaver functions allows the use of a motor that operates at low speeds. While current foil shavers are fitted with motors capable of 10 000 to 14 000 CPM (cycles per minute), the motor of a typical rotary shaver operates at less than 1000 RPM. This means a huge advantage for rotary shavers in terms of quietness from the get-go. Secondly, there are the vibrations produced during operation, which further amplify the perceived level of noise. A foil shaver has reciprocating blades, meaning the cutting action is achieved by repetitively moving the cutters from side to side behind the perforated foil. The rotation of the shaft of the motor is transformed into an oscillating movement in this case. By constantly changing the direction of the strokes, the vibrations produced by a foil shaver are much higher compared to a rotary razor with circular blades that rotate only in one direction. The result of these facts translates into a loud, high pitched whine for most foil shavers. Usually, the higher the speed of the motor, the louder the perceived noise will be. On the other hand, rotary shavers are generally much quieter, producing only a low hum. It’s pretty clear by now that if low noise during operation is important to you, then it’s probably a good idea to consider a rotary shaver. Apart from Remington and other lesser known manufacturers, Philips Norelco is synonymous with rotary razors and it’s the undisputed market leader. Having reviewed quite a few in the last years, my subjective impression is that modern Norelco rotary shavers are all pretty similar in terms of noise level. Lots of different models use the same cutting heads and motors, so it comes as no surprise that they’re also pretty much the same when it comes to quietness. I also noticed that when using one with shaving cream or gel, the sound tends to be more muffled, so there’s another reason why you should give wet shaving a try. Well, it really depends on your personal needs and how the razor will be used. For example, the Philips Norelco 6100 is a great compromise in terms of performance and costs. Having used one myself, I can also confirm that it is quiet during operation and does a great job when being used for shaving daily or every other day. This particular razor ticks lots of boxes and does so without being too pricey. It’s a great choice for a first rotary shaver and can also be successfully used for shaving your head. I find myself recommending this model very often as it’s extremely versatile, can be used wet or dry and will likely be good enough for most men (full review here). Another solid option for an affordable and quiet razor is the Philips Norelco 4100 that we also reviewed a while ago. This is a simple, robust and capable rotary shaver that can be used both wet and dry and works best for daily shaving. It also includes a pop-up trimmer, very handy for some light grooming and touch-ups. Men with very coarse beard who also shave irregularly, every two days or more, should probably go for a more advanced rotary razor. In that case I highly recommend reading my comprehensive article regarding the best rotary shavers. Hopefully this article will be useful and will help with narrowing down your options for a quiet electric razor. Finally, there are two important things I would like to touch upon. Cleaning stations can also be noisy. Moreover, some use a fan during the drying phase of the cleaning cycle as opposed to induction heating (used only by Braun’s Clean & Renew stations). If you plan on buying a razor that comes with a cleaning base, take this into consideration as well. Noise level and quietness are subjective notions. What may seem quiet to some of us can be perceived as noisy by others. Therefore, I highly recommend a hands-on experience with the shaver before actually purchasing one. If you have the possibility, check it out in a department store, turn it on and personally asses how loud it is. 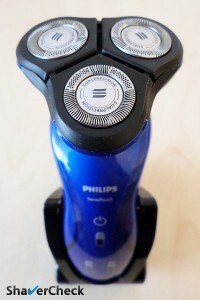 Home » Articles & Guides » General » What’s the Quietest Electric Shaver for Men? For something that gets put right next to your ears, I simply cannot understand why people don’t consider noise an issue and annoyed that manufacturers do not list the dB rating. I have been nearly deafened by some shavers in the past. And who is to say they have not affected my hearing to some extent blasting away for a few minutes each day? I also work shift, so another plus of a quiet shaver is not waking the whole household. I found a very quiet rotary shaver a few years back – a Remington R3130. Brilliant! May need replacing soon as starting to lose sharpness, so your article is of great interest to me, thank you. I hope more people see it and start questioning manufacturers about it. I fully agree with you, noise level is often overlooked by manufacturers. Thank you for your comment and I’m glad you found the article useful. Thank you for your reviews. I have a son of 16 who has autism with sensory issues with noise, so I’ve found your reviews very helpful. Thank you for your comment, Tracy. I’m glad you found them useful. Tracy, this is my problem as well! Did you find any that have worked? My son is 14 and he will not let me get close to him with a electric razor. His OT at school is working on this with him as well. This is my problem too. My 14 yr old grandson has autism with noise sensory being a major issue, and we need to buy him an easy to handle quiet dry razor, so all of your information is very helpful. Thank you. Thank you for your comment, Mary. I’m glad you found the information useful. Same here my son is 16 and has autism, so have found this information very helpful. Thank you for your comment, Michelle. I’m glad you found the article useful. Thank you for your comment, Pete. Glad you found the post helpful. I am searching for the most quiet FOIL SHAVER. I would like to keep using the FOIL shaver vs. the Rotary. Do you have any info/comments on quiet foil shavers? To me all foil-based shavers are pretty loud (particularly during use). Panasonics have a higher pitched whine, while Braun shavers generate a lower frequency buzz. With regards to the intensity, they are similar. I will however say that the Panasonic ES-LA63-S and ES-LA93-K are louder than most other Panasonic models since the foils also vibrate during use, which makes them noisier, so you might want to skip those. Also, the Series 5 from Braun vibrates quite a lot when shaving and is very loud. Unfortunately this is pretty much all I can say to you. I guess compact/travel shavers are quieter since their blades oscillate at much lower speeds, but the performance is usually very poor. I would never be able to use one as my main shaver. How many CPM or RPM do these razors do? I keep getting these Norelcos and they spin slower than a politician to answer a question. Why are these companies (and reviewers) so reluctant to use actual measurable facts such as this? That analogy is spot on. A typical rotary razor operates at less than 1000 RPM, significantly slower than most foil-based razors (7000 – 14000 cycles per minute). I am personally not a fan of Norelco or any other rotary shavers. I find foil razors to shave faster, closer and more comfortable despite being significantly louder during use.